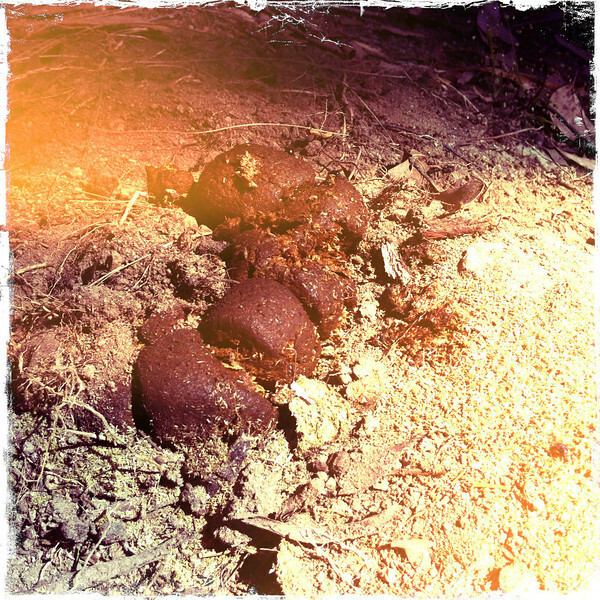 Fairly fresh wombat poo on large dried mound of old wombat poos. Cowbaw State Forest, Victoria. Dec 2011.